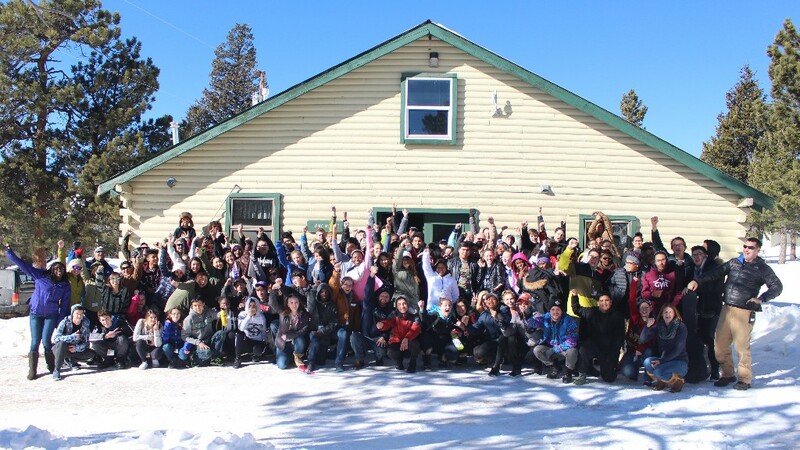 RMC Teen Prayer Conference, "Traveling Light," Lives Up to Its Name » Nearly 120 people, including 88 teens accompanied by nearly 30 sponsors, arrived at Glacier View Ranch January 20 for the 2017 Prayer Summit. Themed, “Traveling Light,” the youth were eager to connect with God and each other on a journey to laying down the baggage that weighs us all down. Over the course of the weekend, they experienced God through activities and meetings that struck a balance between thought-provoking dialogue, time in God’s nature, and fun activities. 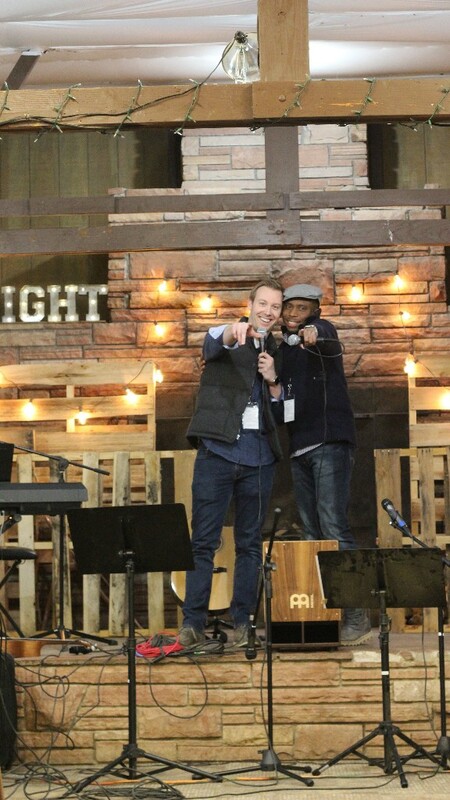 Two Guys and the Word (aka Stephen Carlile and Kevin Bruce) traveled from Oklahoma to spend the weekend as guest speakers. Bringing energy, excitement, funny banter, and a God-centered perspective, Two Guys and the Word broke down barriers from the very beginning as they engaged the audience and dove into difficult subject matter. Over the course of five meetings, Stephen and Kevin addressed guilt, anger, jealousy, and relationships. The youth in attendance learned that guilt says, “I owe you,” and is confronted with confession. Anger says, “You owe me,” and can be combatted with forgiveness. Jealousy says, “God owes me,” and is overcome through the honest appreciation of another’s gifts and talents. In the midst of instructing the youth on how to lay these burdens at the feet of Jesus through practical and real-life solutions, Two Guys and the Word also addressed relationships, encouraging our young people to place significant value on being equally yoked and dating someone with the same value system. Between meetings, the RMC Youth Department and several students from Union College (Dimas Wauren, Greg Epperson, Enoch Razafindrabe, CJ Middlebrooks, and Anthony Waworoendeng) orchestrated activities that included sledding onto the GVR lake, team building games and activities, and a photo scavenger hunt. Saturday night was also loaded with fun, including open swim at the pool and board games in the cafeteria. Finally, no prayer summit is complete without significant time in prayer. Each morning, individuals gathered in the upper room at Glacier View lodge to spend individual and communal time in prayer. Saturday morning, 30 individuals gathered and discussed different types of prayer and spent more than an hour communing with God. On Sunday morning attendance at the prayer room increased and more than 35 young people prayed for an hour and a half to kick off the day. Spirits were high at the meeting later on Sunday morning, and each individual wrote their burdens on paper to symbolically lay down at the foot of the cross. 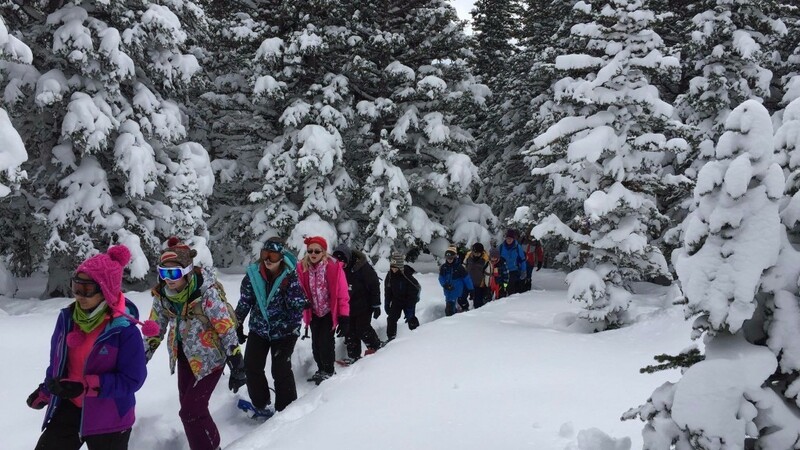 HMS Students Get Outdoors, Even in Winter » With snowshoes sinking into snow often well above knees, 32 HMS students in grades 4 - 8 persevered in breaking a trail to Brainard Lake. Despite predictions of snow, Thursday, January 24, turned out to be cloudy, but calm and dry--a perfect day for teachers Paul Bragaw and Davin Hammond to lead their students on a snowshoe adventure. For the majority of students, this was their first experience on snowshoes. 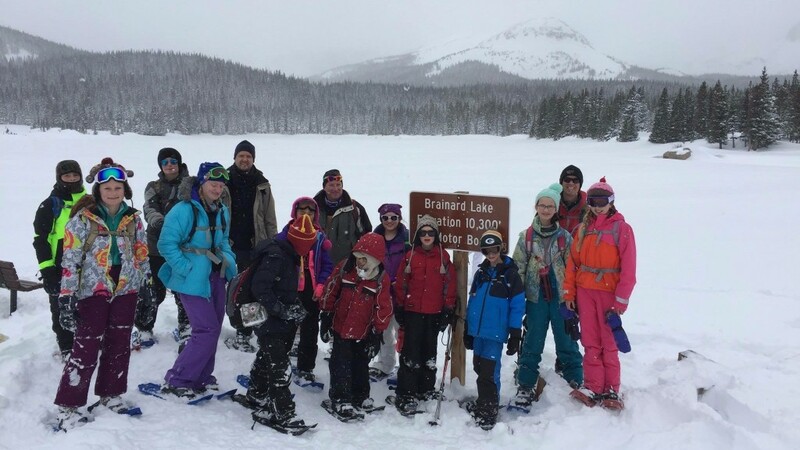 Divided into mixed-age groups so that they could help each other don snowshoes and offer encouragement along the way, the students all hiked between three and five miles through deep snow to Brainard Lake in the Indian Peaks Wilderness. Paul Bragaw, known to his students as “Mr. B.,” was recently able to obtain the snowshoes because of a generous donation. He has also started what he calls a “snowshoe ministry” which allows any HMS family to check out the snowshoes free for a weekend to encourage outdoor family fun. For students, especially in Bragaw’s and Hammond’s classes, enjoying class outdoors is nothing new, but a regular part of their education. Both teachers use “mobile outdoor classrooms” where students set up camp chairs in various locations around campus. They often have Bible class, reading time, and science outdoors, as well as taking a daily walk around the outskirts of campus. In October, Bragaw organized the annual outdoor school trip for students. This year they went backpacking on a three-day, two-night trip. In February, the whole school will be going skiing, and a few other snowshoe trips are being planned. MHA Welcomes New Staff » New positions are being filled at Mile High Academy this month to assist in recruitment and marketing. Derek Baker takes up the job of recruiter beginning February 8. He graduated from Union College last spring and has been working at a bank in Lincoln. A people person, he looks forward to talking to people from all sorts of backgrounds in his new job. "It's a dream job," says Derek, "to be working with some of the teachers who taught me in high school" and working beside students with whom he attended college or traveled through foreign countries. Principal Vunileva, Leandro Bizama, and Jennie Eno all taught him at Ozark Academy. Kyle and Becca Berg took travel literature and photography classes with him as they journeyed through Central America. Born in Seattle, he's not a Broncos fan, "but I'm willing to learn," he says with a laugh. Jacquelyn Khoe joined MHA's Advancement & Development team this week to market MHA to its alumni and to the community. 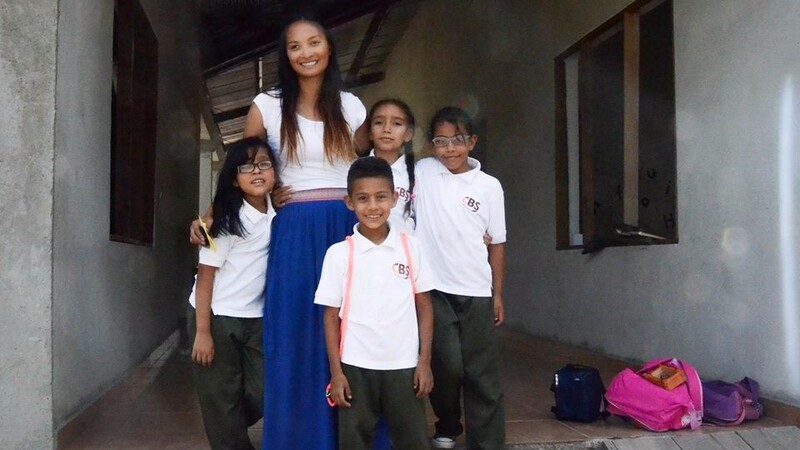 Born and raised in California, she attended art school in San Francisco before she began teaching at Campos Blancos Seventh-day Adventist School in Honduras in 2012. With the call to mission still strong after her teaching experience in Honduras, she joined the advancement team at Battle Creek Academy..
"Taking the Mile High Academy position is an answer to prayer," Jacquelyn says. "God called me and I need to step out in faith and follow His will." As she will work to establish relationships with the MHA alumni, Jacquelyn also looks forward to exploring her new state doing the hiking she loves in the beauty of Colorado. The first 6-page issue includes articles encouraging involvement in church life, support unity and inclusion, as well as sharing engagement with the ministries of the church. Personal ministries, youth and evangelism are featured, as well. 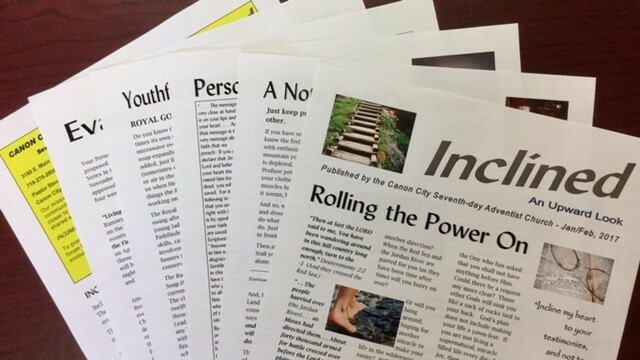 The newsletter is available in a limited print format, as well as being available on the Web at www.canoncity22.adventistchurchconnect.org . To request a copy via email, write to [email protected]. Christian Arts-Centered Preschool and Kindergarten Now Available in Erie » Vista Ridge Academy, located on Highway 7 just behind the new King Soopers, has offered quality arts-centered elementary and middle-school education to families in Erie and the surrounding areas for more than ten years.This fall, Vista Ridge Academy is proud to offer a full early education program, made up of both preschool and kindergarten and serving children from ages 3 to 5. 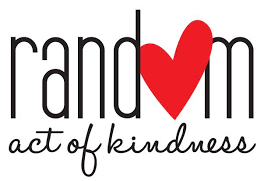 Our program runs from mid-August to late May, Monday through Friday. Children attend full days (8:15 a.m.-3:30 p.m.) Monday through Thursday and a half day on Friday (8:15 a.m.-12:15 p.m.). In addition to social and academic development—which includes phonics, reading (with a therapy dog), math, and handwriting, children learn about the Bible, attend weekly chapels, and take classes in music, physical education, technology, and art. 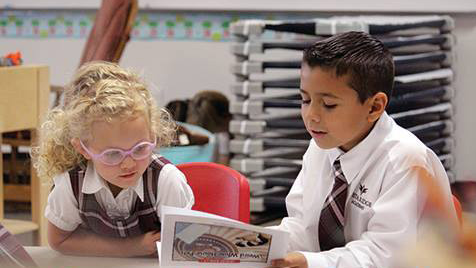 Vista Ridge Academy aims for each child to become comfortable in the school setting, feel that learning is fun, and find joy in who they were created by God to be, setting up a firm foundation for the rest of his or her education. Program director Sandy Hepp has twenty-five years of experience in early childhood education and has taught at Vista Ridge Academy since 2014. Attend our open house and ribbon-cutting ceremony celebrating the new program at noon on Friday, February 17, or contact us at 303-828-4944 to schedule a tour. "God is at Work in the Sheridan Church," should have been attributed to Bible worker, Ben Davis, not Chuck Gadway. "DeeAnn Bragaw Takes Over RMC Prayer Ministry" should have referenced a woman who came from another conference and led them through songs--not psalms. Naturally Gourmet Vegan Cooking Class » Learn new and creative ways to make tasty, healthy recipes that naturally boost your immune system. 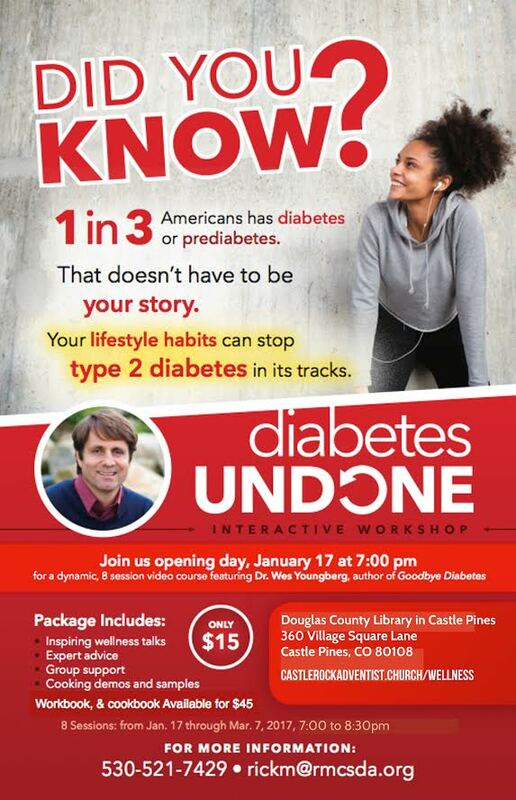 Held at 5 p.m. Sunday, February 26, at the Franktown Church, it will be taught by Karen Houghton, R.N., author, and TV host and health educator featured on the DIRECTTV series, Naturally Gourmet. The cost is $10 and pre-registration is appreciated. Call 303-688-8687. The church is located at 905 N Hwy 83, Franktown, CO 80116. Nedley Depression and Anxiety Recovery Program » The Durango Church is holding a depression and anxiety treatment program which offers non-drug solutions designed to combat depression through improving energy levels, sleep quality, mood, relationships and emotional intelligence. 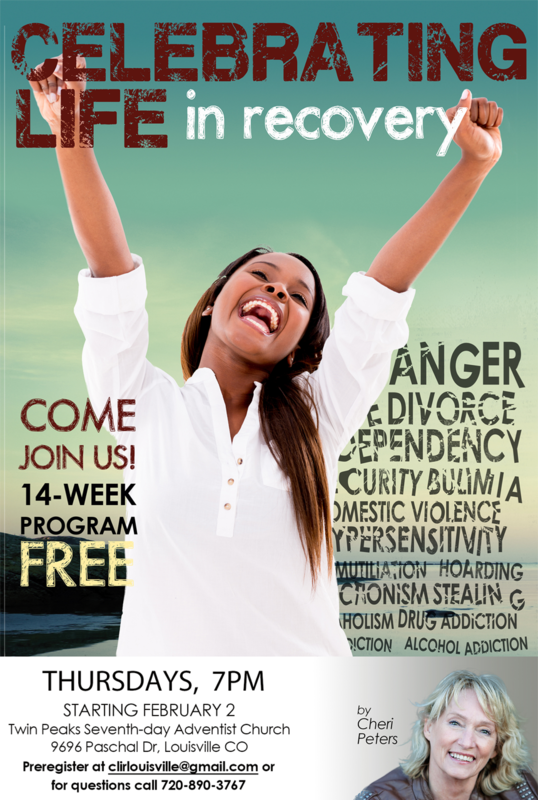 The eight-week program begins January 23 and continues through March 20 at the church, 1775 Florida Road. For more information, call Marley at 970-749-1860. 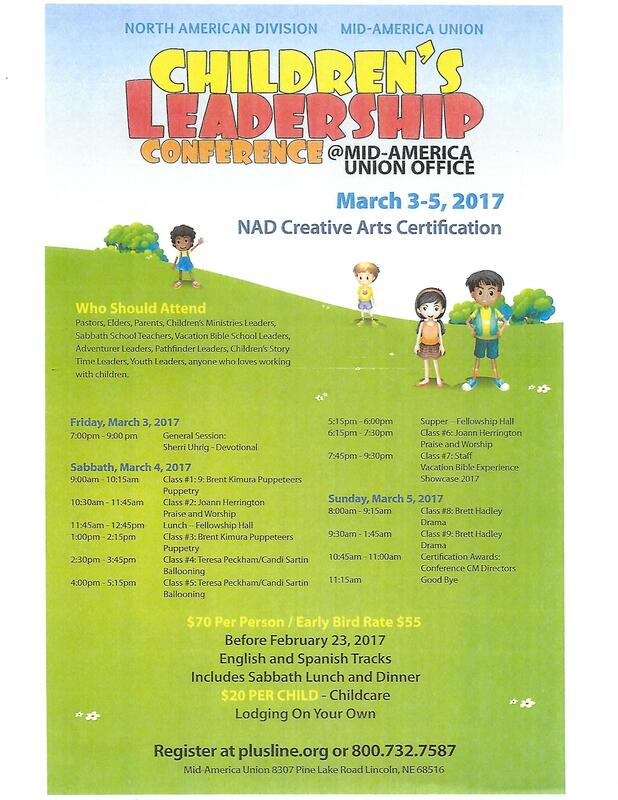 Children's Leadership Conference » The Mid-America Union invites you to the Children's Ministries Leadership Conference beginning at 7 p.m. March 3 and continuing to 11:15 a.m. March 5. in Lincoln, Nebraska. To register, visit www.plusline.org or call 800-732-7587. Register before February 23 to get the early-bird rate. Mid-America Union Conference is located at 8307 Pine Lake Road, Lincoln, NE 68516. VBX Training 2017 » You're invited to the RMC's VBX training from 2-3 p.m., April 1 at Denver South Hispanic Church. 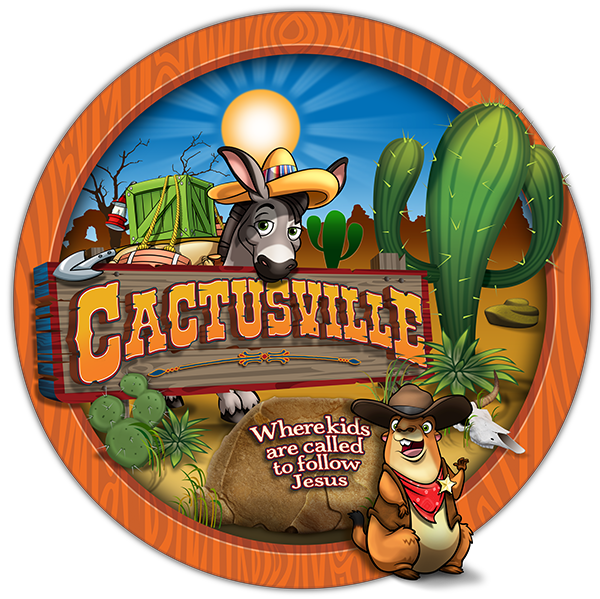 Learn the details of the new theme, Cactusville: Where Kids are Called to Follow Jesus. Please RSVP to Patty Rivera by March 15 at [email protected] The church is located at 2005 S Lincoln Street, Denver 80210.